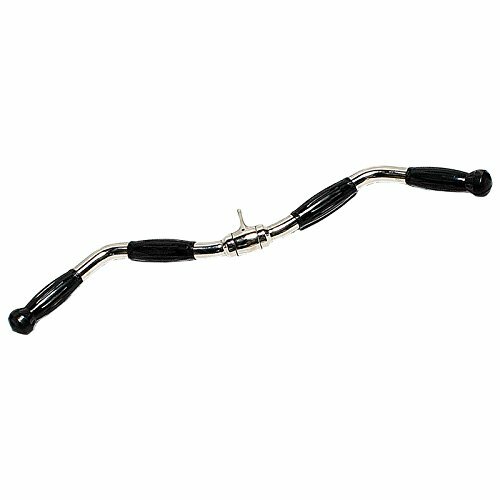 CAP Barbell Deluxe Curl Bar Cable Attachment with Rubber Handgrips, 28"
The cap deluxe Curl bar is the perfect addition to your home gym or Smith machine. This cap deluxe Curl bar attachment is ideal for doing curls and many other exercises on your home gym. This bar features a durable steel construction, rubber handgrips and revolving hanger.